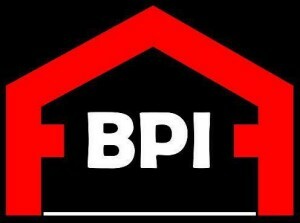 BPI Building and Pest Inspections Sunshine Coast – Central & South has been in operation in Sunshine Coast since 1999. Chris & Natalie Jacobson provide thorough inspections, quality reports and outstanding service for buyers and sellers who want to know the condition of their biggest asset, their Home. BPI Sunshine Coast – Central & South is a proud local business backed by BPI Australia which has become one of the fastest growing Building & Pest Inspection companies in Australia. We are committed to providing an outstanding quality service and reports to every client in the hope of gaining loyal repeat customers and referrals. Chris & Natalie Jacobson, are directors and owners of BPI Sunshine Coast – Central & South. Chris has been in the building and construction industry for 14 years and is a fully licensed Builder, Pest Technician and Inspector. Chris has been working in the Fraser Coast & Sunshine Coast regions for 14 years and has gained great local knowledge on the area, style of construction and common local issues. His building experience is wide-ranging and includes unit blocks, townhouses, domestic low set properties, renovations and extensions of all styles of houses, including Queenslanders, low set, single and double story brick construction, high set and pole homes. With such diverse building, construction and inspection experience you can be guaranteed Chris will thoroughly inspect your property and provide you with a detailed inspection report to give you peace of mind with your property purchase. Why Choose BPI Building and Pest Inspections Sunshine Coast – Central & South? BPI specialise in Combined Pre-Purchase and Pre-Sale Building and Timber Pest Inspections – It’s what we do day in day out. You will get 1 inspector – Chris Jacobson to complete both Building & Pest Inspections at the same time. We don’t outsource inspections. We get into the areas not normally inspected by you such as the roof void, roof exterior and the sub floor areas (if it is safe to do so and access panels are provided). You will receive your detailed written report including photos within 24 hours of the inspection. Reports are easy to read and understand and can include colour photographs, and recommendations on issues found at the property. Fluent reports with recommendations which help solve difficult building & pest defects or maintenance problems. No confusion when trying to understand building and pest related issues, for example structural damage caused by termites is clearly reference between the 2 reports. 1 inspector + 1 visit = 1 competitive price.